In this game you have to find hidden target in this fantasy forest pictures. Your have to find the target and shoot them correctly. For your every right target you will get 100 points and for every wrong target you will lose your 20 second from your game time. Find all the hidden stars within the time duration which are hidden on this Hot Modern Fantasy pictures. Be careful because some object can make you confuse so click only on correct place. For your each 10 wrong click you will lose your 30 second. It's the time to use your observing skills to discover the hidden objects in a Pink room. Find the hidden objects in short duration to get high score. Audi A8 Puzzle is a free online game from genre of puzzle and car games. On this game you can choose two modes, jigsaw or sliding. On jigsaw mode you should drag the pieces into right position. Multiple pieces can be selected using Ctrl + Left Click. You can choose one of four modes: easy, medium, hard and expert. But watch out on time, if it runs out you will lose! On sliding mode you should drag the pieces and make this puzzle. Use mouse to play this game! 20 Puzzles is a simple and challenging puzzle game. It includes 20 board puzzles. rnPlaying this game is very simple. You need to make blocks to jump over other blocks. It will eliminate those blocks from the board. Jump until the last block.To complete a level, eliminate all blocks except one which jumps last. Find all the hidden stars within the time duration which are hidden on this Queen Fantasy pictures. Be careful because some object can make you confuse so click only on correct place. For your each 10 wrong click you will lose your 30 second. Some famous chess player has been found dead. Can you investigate this interesting case? The evil sheriff locked some poor and innocent Mexican farmer in the cage. Can you rescue him? Some artist was accused for selling forgeries. Gather evidence against this con artist before the trial begins. The Queen needs you to go into the cellar, and find some of her old things, that have been down there for years. You discovered an abandoned ship on an island nearby. Explore and search around for some hidden clues. Last night I had the awesome idea. I wrote it down and locked it away. But I lost the keys. I need to find them! Play this free matching game based on a nice halloween theme. Your goal in this game is to get as many points as possible - but you only got 60 seconds to do that.To achieve this you swap halloween-pieces of the same color to create horizontal or vertical sets of at least 3 pieces. The bigger those groups are, the higher your scores will be. You get even more points if you use special stones!You create special stones by combining 4 or more halloween-pieces. To activate them you need to connect three pieces of the same color.Play and have fun!Happy Halloween Match 3 is played with mouse.Click two horizontal or vertical adjacent halloween-pieces with the left mouse button to swap their position. You can also just drag&drop those pieces to swap them.If they create a match of 3 pieces it is a valid move.If you can combine more then 3, you get special-stones. Use those special-stones to get even more points! Super Slots its a game with classic slots machine. Fully functional slots game with a retro look. Have fun! Can you find a way out of this ancient tomb? 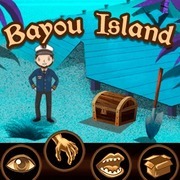 Solve all the puzzles and mysteries that will help you to escape. Some famous actor is selling his estate, and everything in it. Go there and see if you can score some good memorabilia! Are your spelling skills good enough to be able to make it into TOP20 global highscores? There will be shown a word on a screen and your task is to decide if the word is spelled correctly or not! You must answer correctly a number of words that equals to "TODO" number in the top right corner to be able to progress to the next level! Watch out, in each level you can make max 5 mistakes. Also watch out for level limit shown under the word. If you lose the level, you can play it again (max three times), then you must start over. Go for highscores! There is a fire in the castle! Prove your loyalty by going into the fire and getting some of the royal things.